As you may know, summer is the most awaited season throughout the world and marks the time to relax and go on vacations. Vacations have a different meaning for everyone, some like them because they can take this time to unbend and spend time with their families. While others wait the whole year saving, so they can go on a cross-country road trip with their friends and loved ones. Every country has their own travel trends and according to a survey conducted by Oliver’s Travel (travel specialists that offer lavish one of a kind places to stay), 50% of British people will go on a trip abroad this summer for vacations. According to the report, one in every two Brits is expected to vacation abroad, with Londoners leading the way with 60% and Scots at 59%. Although not everyone is so keen on leaving home, as 59% of those in the South West are planning to stay home for the vacations. There seemed to be lots of demands but the major one being the need for Wi-Fi, followed by air-conditioning and then swimming pools. Women chose beach holidays (38%) as the favorite destination for a vacation. If you’re planning your 2019 adventures based on the favorite travel destinations of 2018, then this is a good place to start. Famous for its beach resorts, sheltered coves and Roman and Moorish remains; Majorca is the largest island in Balearics. Majorca is the most favorite (26%) vacation destination among Britons. The beach resorts are not the only thing Majorca has to offer, the coastline and the interior are as beautiful as it gets. You can take a stroll on the steep slopes of Serra de Tramuntana, or maybe visiting a winery, an olive mill or a farm seems like a good idea. Palma de Majorca is the most happening place. Being the choice of 16%, Spain leads to be the third favorite (16%) country for vacations among Brits. For a country that offers a little bit of everything, look no further than Spain! The US takes the second place (17%) as a popular destination among Britons. California seems to be the most popular long distance (9%) destination. You may know California only for the major cities like Hollywood Los Angeles, San Francisco, and San Diego etc. But this western US state is famous for its cliff-lined beaches, redwood forests, the Sierra Nevada Mountains, Central Valley Farmland and the Mojave Desert which makes it a perfect summer destination. This historic county in northern England is swarmed by visitors every summer for its grand old cities and sweeping moors and dales. The county is home to many historic heritage sites such as Normand castles, medieval abbeys, Tudor houses and medieval walls. It is also rich in structures from the Roman and Viking heritage as well as cities of the Industrial Revolution era. Yorkshire also has two national parks. It is observed that more than 40 million visitors every year travel to Yorkshire for heritage-related tourism alone. The shire county Devon is home of the English Riviera; the picturesque south coastal harbor towns like Torquay and Brixham. It also has sandy beaches, rocky coves, fossil cliffs, medieval towns, and moorland national parks. Devon is famous for its food, cream teas, surf breaks, pub gardens, strolls and picnics. To find out more about surfboards, check out Dreamguides. You will easily fall in love with the scenic and magnificent beaches. It has got everything from the rugged and rocky Dartmoor to the ancient city Exeter. Cotswolds will make you feel like you’ve strayed into a different century. Cotswolds is known for the scenic hills and romantic meadows spotted with honey colored towns and villages, grand residences and castles. It is home to dynamic galleries, colorful festivals, and fascinating museums. It encompasses parts of Gloucestershire, Oxfordshire, Wiltshire, Somerset, Worcestershire, and Warwickshire. The craggy southwestern county Cornwall has much to offer but the most famous would be the picturesque harbor villages of the Cornish Riviera (South Coast). 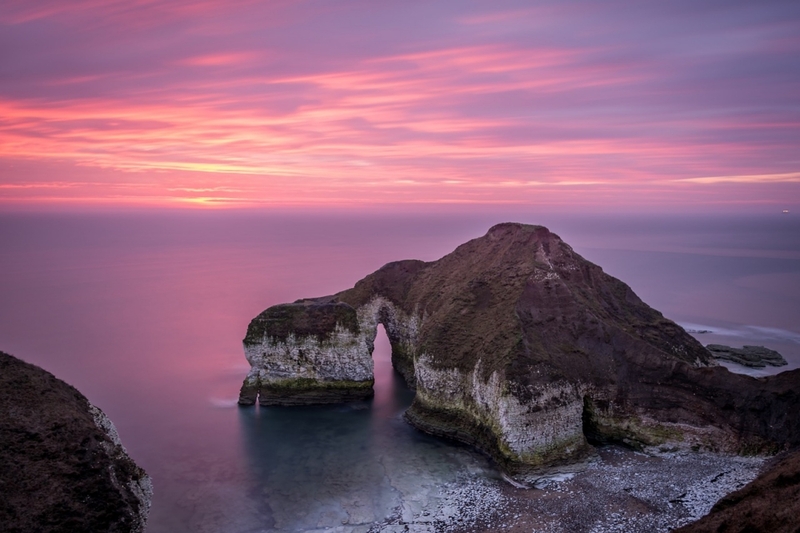 The North Coast, on the other hand, is lined with towering cliffs and seaside resorts. Cornwall is studded with wild moorlands and hundreds of sandy beaches. Newquay, Lost Gardens of Heligan, The Eden Project, Southwest Coast Path, and Minack Theatre are some famous destinations. Bath is among the most beautiful cities in England. It is most eminent for its natural hot springs and 18th-century Georgian architecture; with the practice of honey-colored Bath stone that has been used extensively throughout the town. The most prominent structures of the city would be the original Roman-era Baths; The Great Bath, statues and a temple. Bath Abbey is noted for features like stained glass windows, tower and the art of fan vaulting. If you’re planning your 2019 adventures based on the favorite travel destinations of 2018, then this is a good place to start.